When I’m asked what I want for Christmas, I often draw a complete blank. 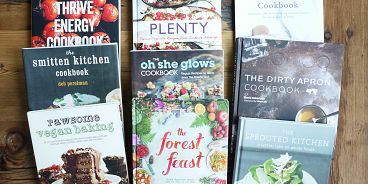 Over the past year, however, I’ve made a concerted effort of jotting down cool, covetable, culinary items that could make the perfect gift…because easy breezy holiday shopping is a huge stress relief. 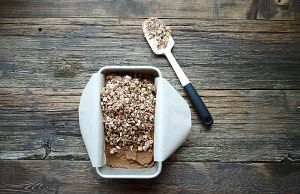 Hopefully, this list helps as you shop for the gourmand in your life. Behold, the To Die For Christmas Gift Guide For Food Lovers 2014. View the CTV Morning Live segment in which I feature these items on the show. But not just any cookbook. Since approximately 80% of them end up collecting dust in your closet (made up fact, by me), you must choose wisely. These are the current “big favs” in my home right now. 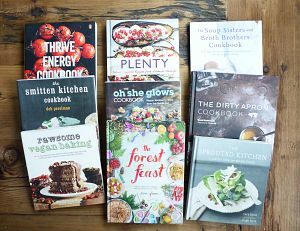 Note: I’m on the picky side when it comes to cookbooks. Trust me when I tell you these ones are great. It’s a well-known fact that Old Faithful Shop in Gastown sells nothing but the coolest goods on Earth. One peek in the store and you’ll be wowed. 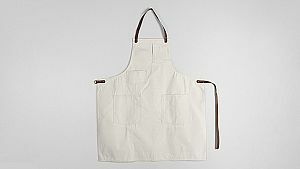 This Deluxe Apron with Leather Straps from Stanley & Sons ($138.00) is the type of apron the foodie in your life will treasure for life. What’s more luxurious than spending a night (or two) at a beautiful hotel in your own city? With Tableau Bar Bistro in the Loden’s lobby, your food-lover will be even more thrilled to unwind at this stylish and central downtown oasis. 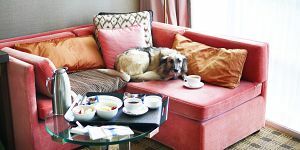 And great news for fur-baby moms and dads, the Loden is uber-dog-friendly. Your four-legged-friend will be provided with a plush bed and a house made peanut butter bone. Details on the Loden’s Holiday-In-A-Box Package ($399) on now. An obsession of many a pottery purveyor. 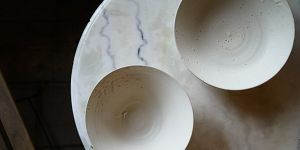 Stunning bowls, vases, plates and more bearing incredible texture by local design phenom and artist Janaki Larsen. Find them at her shop, Le Marche St. George. Not only are these beautiful boards made with local wood, the three individuals who design and handcraft them are wonderfully passionate people. And they’re fair, too. Trust that you’re getting a good price, as well as, a product that was made with love. If you’ve got a “wooden vision” you’d like to see come to life, Alanna, Brandon and Darren want to help. Contact them via email (hello@pacificdesignlab.com) and browse their products here. The most beautiful portable coffee mug (which I use for smoothies to-go, too) to hit the market. It’s so good-looking, you’ll want to hold onto it as an outfit accessory of sorts. And thanks to Joco’s beautiful colour scheme, you’ll easily be able to find one that matches your look. 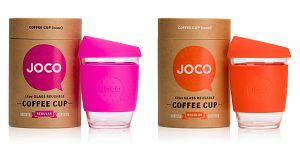 If your foodie friend is a compulsive paper cup waster, let them know that over two billion of these ‘items of convenience’ are wasted every year (that’s over fifty million trees) and gift them a Joco this holiday season. Buy them for about $25 each at Caffe Garibaldi (Squamish), Delish General Store (Granville Island), or Giving Gifts (Main Street). You won’t have a hard time finding a fun gift for the food lover in your life at Gourmet Warehouse. 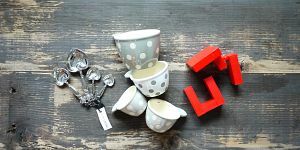 This square sushi maker allows you to recreate the famed Aburi Salmon Oshi Sushi from Miku and Minami, and these adorable teaspoons and cup measurements from Lofty Lifting are a pretty little addition to your home baker’s collection. 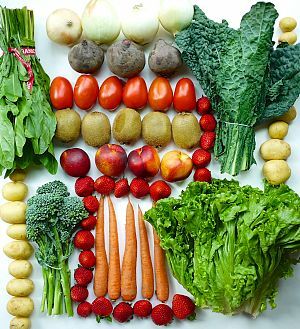 Organic groceries delivered to my door changed my life. The stress of having to drive, park and navigate through the grocery store (on a regular basis) was eliminated. I especially love SPUD’s Organic Local Produce Box, which is a weekly surprise medley of fruits and veggies grown in BC. Here’s more info on their gift cards. 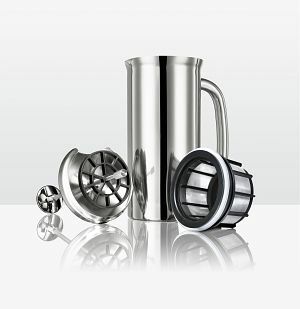 This two-year old invention by a pair of Vancouver-based friends and business partners is not only beautiful, the coffee it makes stays hot for hours and your first cup is like your last (as opposed to typical French press coffee which gets stronger and colder as it sits on the table). Espro Press’ filter holes are 12 times finer than that of a French press, too. And launching early in the new year is Espro’s Travel Press. You can check out their Kickstarter campaign here. Price: from $54.95. Woodworker and designer Jason Watt specialize in reclaimed harvest tables (like the one you may have seen in countless food photos of mine, see above), barn doors, benches, shelving, mirrors and sculptures. 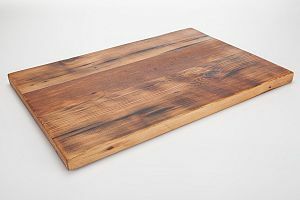 They’re perfect for any Vancouver home or Whistler cabin and will most certainly become a “prized possession” for that reclaimed wood-loving foodie in your life. Donate to charity on their behalf. No brainer. The BC SPCA is one of the wonderful options out there.